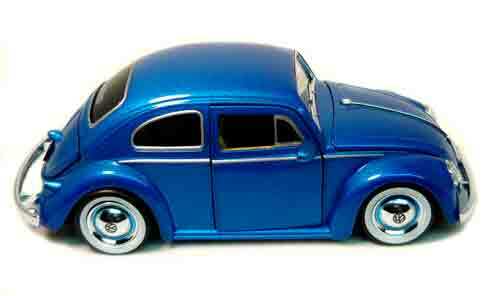 Check out this great 1959 Volkswagen Beetle from Jada Dub City collection. The doors open on this classic oldie to reveal a tan and black interior. The hood and trunk open on this free wheeling replica. It has moon hubcaps and white wall tires. = 7.25" Long x 3" Wide x 2.5" High.